Our guide to the best creators of gin in Cape Town, and where to find them! The art of making gin was said to have started in the middle ages. Made primarily of juniper berries, local gins usually incorporate locally sourced botanicals to give their gin unique characteristics and flavour. With all the local fynbos that grows in the Cape Town area, how could our local gins not carry the taste of Cape Town? These gins are local, authentic, high quality and proudly South African. Everyone knows what a schlep it is to be the designated driver, and sometimes it can feel like you’re missing out on the fun. Get someone else to drive for you! Kiff Kombi Tours have debuted their new tour, The Gin Jol, and it is simply the best way to get your fill of gin without having to worry about how to get there. Find out more about their Gin Jol. We won't postpone it any longer, here is our list of all of the gin distilleries in and around Cape Town that we could find! Locally-made gins, from Musgrave Pink Gin to Clemengold and Inverroche. With your choice of sweet and sour cordials, fresh fruit juice makes up the body and a range of infusion-perfect botanicals and garnishes to choose from. Be as creative as you like, all ingredients have been tested and balanced at the new DIY Gin Bar at Nom Nom. Plus: Discover loads of awesome experiences at all the locations in the Benguela Cove. 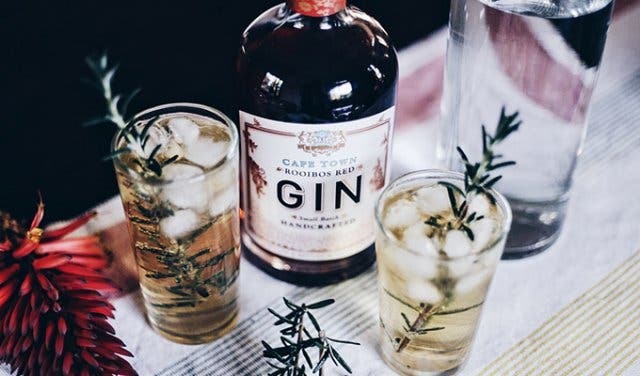 This local distillery was founded by Simon von Witt and is renowned all over the city for its fynbos gin. Woodstock Gin is leagues above just juniper berries – in fact, their recipe includes rooibos, buchu and honeybush to really give their gin a botanical taste. Their gin is smooth, sophisticated and has multiple layers of flavour. 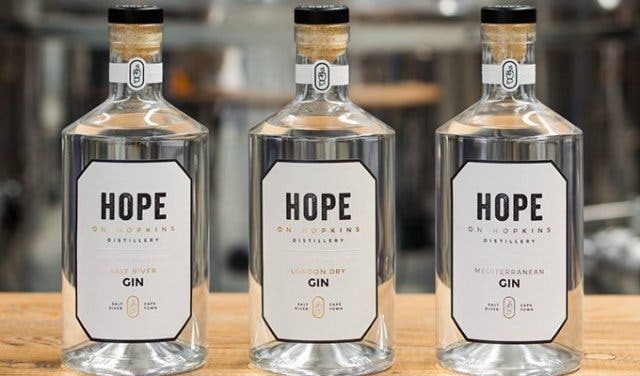 Their micro-distillery is tucked away between Woodstock and Salt River, an up-and-coming urban area, and they produce four different types of gin. Their range includes the High Tea gin, which is flavoured with rooibos and has a distinctive red colour. 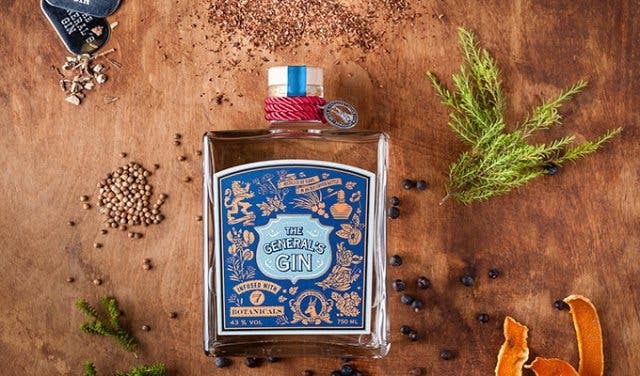 The Woodstock Gin Company’s Inception gin comes as either a wine based gin or a beer based gin, both of which offer flavours that most gin lovers may have never experienced before. Their tasting room is open from 9am to 6pm every weekday and from 9am to 4pm on Saturdays. 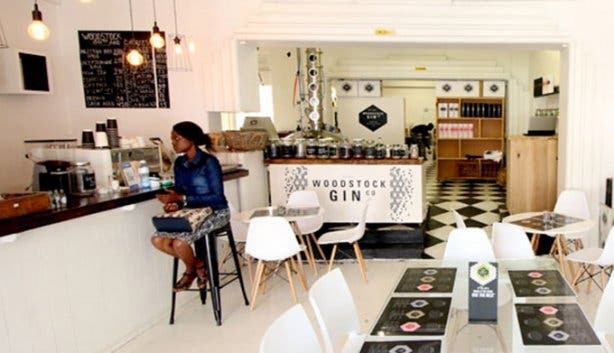 Head to The Woodstock Gin Company for a locally-made gin cocktail and a sneaky tasting of their range! 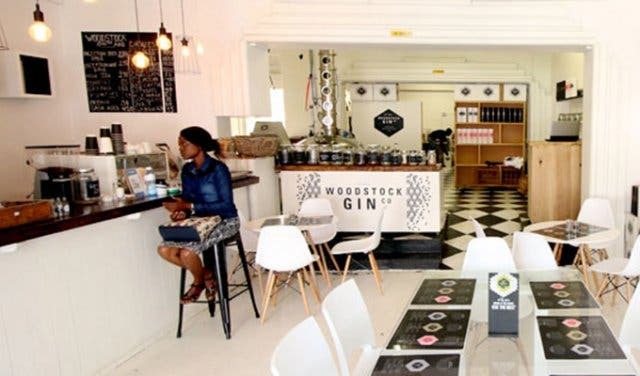 399 Albert road, Woodstock, +27 (0)21 821 8208, simon@woodstockginco.co.za. 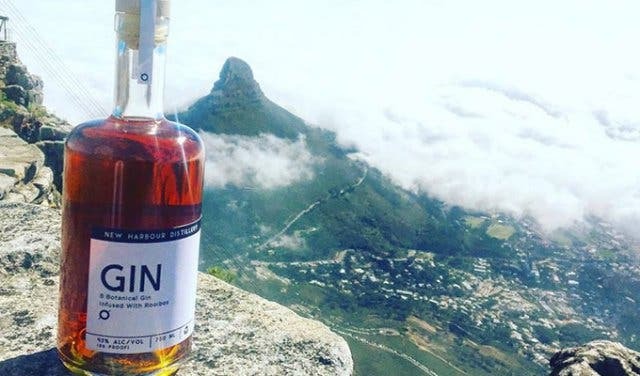 Located only a hop, skip and a jump from the parliament buildings, Pienaar and Son Distilling Company is the inner-city distiller we have all be waiting for. They produce two sensational gins that any true gin lover needs to taste. The first. Empire, made with South African maize, carries typical flavours found in a dry London-style gin. You’ll taste a light citrus background as well as the comforting earthiness of pine. Their second, Orient, carries spiced notes as a homage to the spice trade of the Far East. You’ll detect vanilla, orange peel, mandarin, ginger and allspice. Their distillery can accommodate tastings and tours, but a visit needs to be arranged beforehand. You can contact the distillery directly by dropping them a message via their website - Pienaarandson.co.za. Many Capetonians will have heard of Hope on Hopkins, but for those that haven’t you’re in for a treat! This minimalist Salt River distillery makes artisanal gin from a top secret recipe. They make their gin from scratch, so you know exactly what processes are used in making this delicious creation. 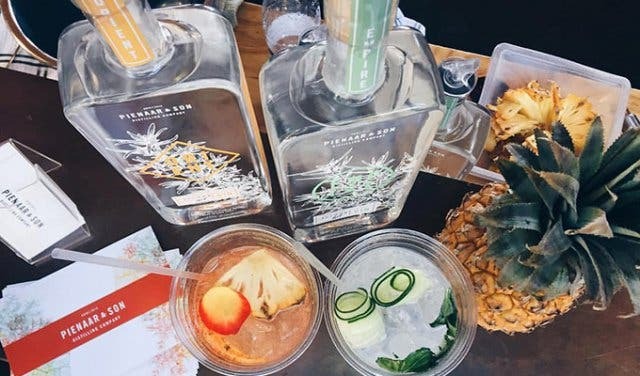 Their range includes the Mediterranean Gin, the Salt River Gin and the London Dry Gin. Each of these spirits has a different flavour and they all need to be sampled to be believed! The Mediterranean Gin is made from grape spirits which they triple distil. They infuse the gin with rosemary, olives, thyme and cardamom. The Salt River Gin is made by redistilling single malt vodka with local botanicals including juniper berries and buchu. 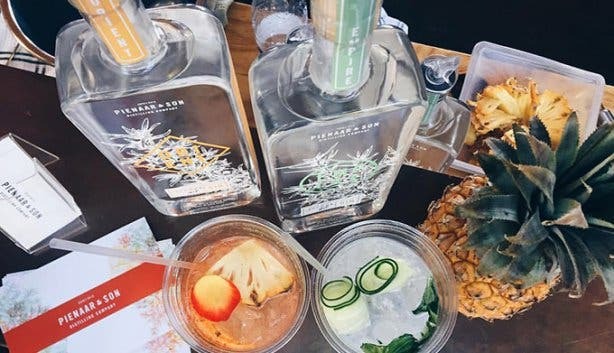 Finally, their London Dry Gin also uses a redistilling process of their single malt vodka which they infuse with citrus flavours and juniper berries. Their tasting room is open for gin tastings on Saturday from 12pm to 4pm. They also do special tastings on one Wednesday every month, so you will need to contact the organisers directly to enquire when their next event is. You can also purchase a bottle of your favourite drink Tuesday through Friday between 12pm and 5pm. If you are looking for some delicious gin cocktail recipes, you can find some on their website - Hopeonhopkins.co.za. 7 Hopkins St, Salt River, +27 (0)21 447 1950, sarina@hopeonhopkins.co.za. Most fans of the spirit will have seen Musgrave’s beautifully packaged Rosewater Gin on the shelves in some of Cape Town’s more upmarket establishments. 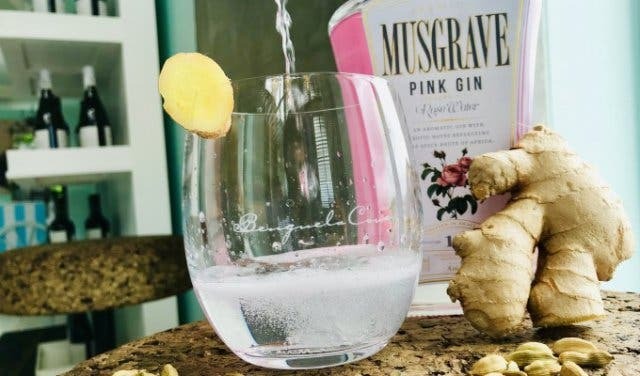 Musgrave Gin was started by Simone Musgrave, and was crafted by esteemed gin maker Roger Jorgensen from the 11 botanicals chosen by the founder. 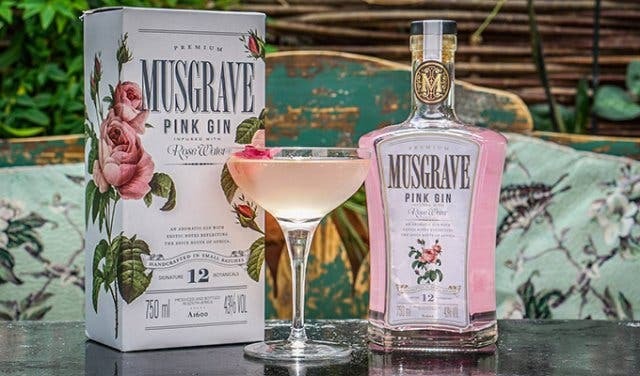 The gin range from Musgrave includes the Rosewater Gin and their signature Crafted Gin; both have very distinctive flavours and come in stunning packages. Both gins' in Musgrave’s range are made at Hope on Hopkins Distillery and can be sampled from their tasting room. Their tasting room opening times are the same as Hope on Hopkins Distillery in Salt River. Please see above. 7 Hopkins St, Salt River, +27 (0)21 447 1950, simone@musgravegin.com. The New Harbour Distillery is located in Woodstock, and is the only carbon-neutral entry on this list! Their ethos is to create sensational spirits while still leaving as small a mark on Mother Nature as possible. 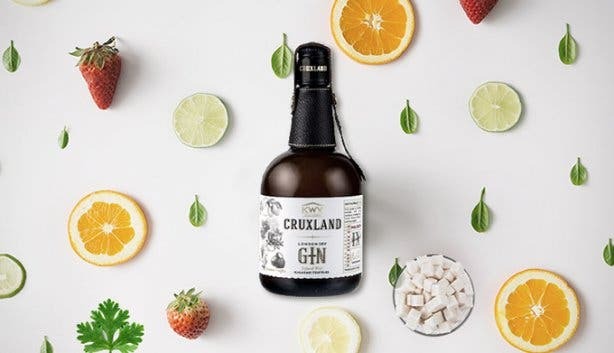 All of the byproducts from the distilling process are recycled and reused by local farms as fertiliser, which is then returned in the form of fresh botanicals for the gin-making process. Their gin range includes a rooibos-infused gin and a Spekboom/iGwanitsha gin. They also manufacture vodka, in case gin is not really your tipple (although how you are this far down the list is beyond me). All of their spirits are made in small batches by both innovative practices and experimental procedures. This certainly isn’t an easy way out, in fact the distillery process is much harder! The New Harbour Distillery is open from Monday to Saturday from 11am to 4pm. Tastings are available between Wednesday and Saturday, but by appointment only. 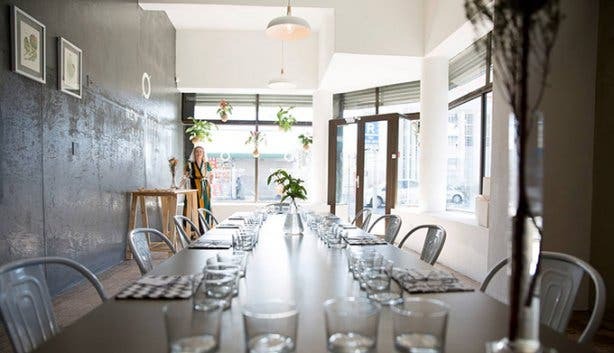 Take the gin lover in your life to Cape Town’s first carbon neutral gin brewery! Corner of Victoria Rd and Woodlands Rd, Woodstock, +27 (0)63 697 6871, andri@newharbourdistillery.co.za. 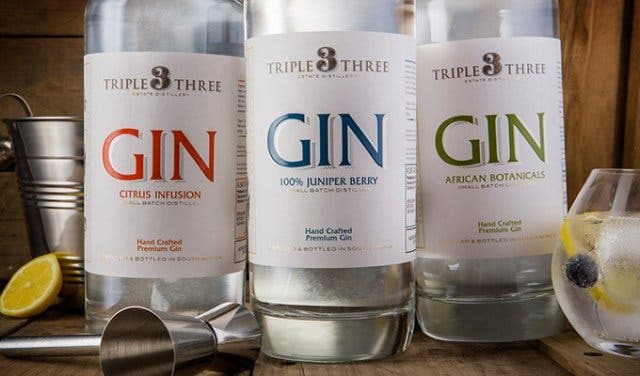 While they may not have a distillery you can visit, the Cape Town Gin and Spirits Company still produces some amazing products. Their range reflects the bio-diversity and culture of the Mother City. In terms of gin, the company produces rooibos gin and their classic dry gin. You can get your hands of both of these at the stores listed on their website - Capetowngincompany.com. You can also look through their recipe page for some cocktail inspiration! Made under the Cruxland name, this gin is actually produced by KWV; a name synonymous with quality. They produce some of the Cape’s loved spirits, including brandy, sherry, whiskey and gin! Cruxland gin is infused with wild Kalahari truffles, which gives this gin an incredibly complex flavour. The earthiness delivered by the truffle is lightened by the juniper berries, and the two blend together sensationally. You can visit the KWV tasting room in Paarl on Monday to Saturday from 9am to 4:30pm. They are open on a Sunday, but only from 11am to 4pm. You can taste a variety of delicious spirits, and they even offer some unique pairing experiences. Kohler St, Southern Paarl, Paarl, +27 (0)21 807 3007, wineemporium@kwv.co.za. If you’ve ever been to Spice Route, you’ll have seen Wilderer Gin; their bold banner stands proud on one of the exterior walls. 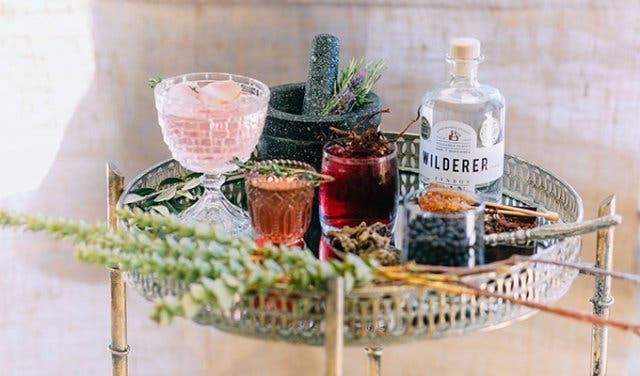 The Wilderer team are committed to creating quality gin. Their distillery process is a secret, but what we do know is that the end result is a deliciously smooth gin that works amazingly well with tonic. At their Spice Route venue, you can taste their range of gins and grappa’s; but be warned, this is not for the faint hearted! Their Spice Route tasting room is open from Tuesday to Saturday at 10am to 9pm, and from 10am to 5pm on Sundays. Suid-Agter-Paarl Road, Paarl +27 (0)21 863 3555, spiceroute@wilderer.co.za. This charming small-batch Stellenbosch based distillery produces some delectable gin. Their range includes three amazing gins; 100% Juniper Berry, African Botanicals and Citrus Infusion. These flavourful spirits represent the best in small-batch distilling, and their venue is well worth a visit! Who wouldn’t want to sample three wildly different takes on the gin spirit? 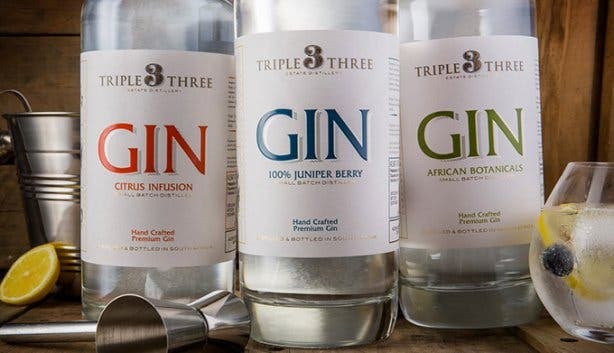 The Triple Three Estate Distillery tasting room is open between 10am and 5pm from Monday to Sunday. Blaauwklippen Estate, Strand Road, R44, Stellenbosch, +27 (0)21 880 0133, info@triplethree.co.za. 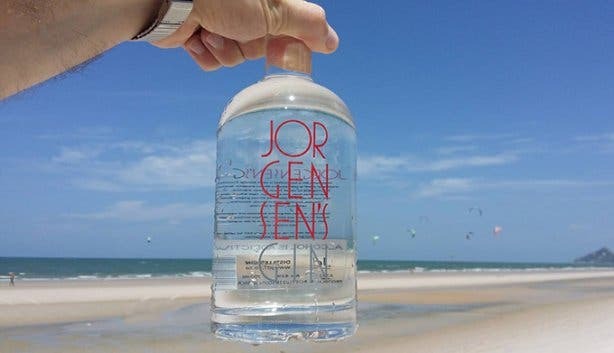 The Jorgensen’s Gin Distillery in Wellington uses locally grown juniper berries in their distilling process. Their berries are harvested by the only juniper plantation in South Africa. The quality of their ingredients is a cornerstone of their brand, and you can tell when you take a sip of their gin! The delicate flavour of this herbaceous spirit means it carries a sophistication that most small batch distilleries cannot achieve. Jorgensen’s Gin distill their gin in tiny batches, in copper pot stills; like the old ways dictate. They do have a tasting experience, but it needs to be pre-booked. You can enquire as to the availability of the experience by getting into contact with the distillery directly on roger@jd7.co.za. Versailles Farm, Regent Street, Wellington, +27 (0)21 864 1777, roger@jd7.co.za. 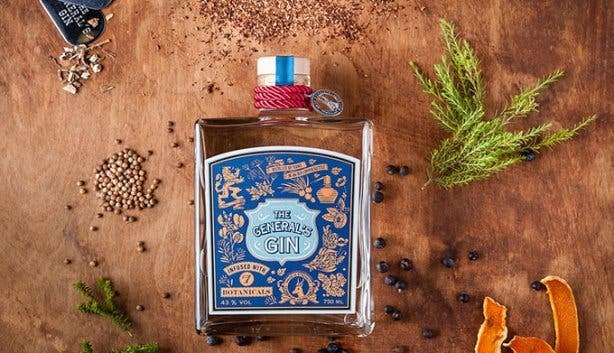 The General’s Gin is produced at the same facility as Jorgensen’s Gin in Wellington. It is the perfect infusion of seven locally farmed botanicals. In drinking it you will detect notes of lemon zest, candied orange peel, pine needles and black pepper. The gin is produced in old copper kettles, in small batches to ensure incredibly high quality. They have a variety of interesting cocktails and pairings that they’ve developed to bring out the best in the gin. The Act of Mercy blends tea syrup, lemon juice, salt and a healthy serving of The General’s Gin. As The General’s Gin Distillery is located at the same facility as Jorgensen’s Gin, tasting experiences can be arranged, but they need to be pre-booked. You can send an email to Sebastian Vannevel on seba@generalsgin.co.za. Versailles Farm, Regent Street, Wellington, +27 (0)76 549 0334, seba@generalsgin.co.za. This Still Bay based micro-brewery produces some of the most flavourful fynbos gin that you’ll find anywhere in the Cape. 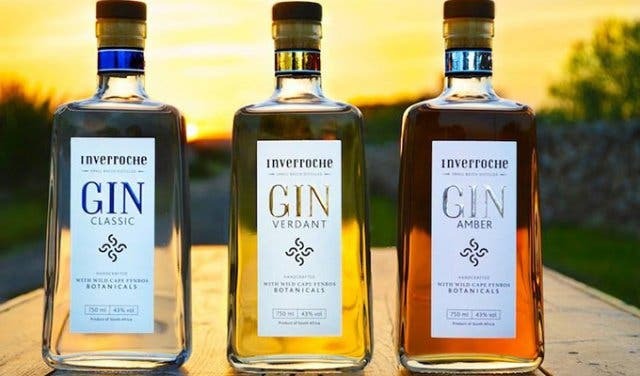 Their selection of botanicals leads their gin to a distinct and delicious flavour that only Inverroche can deliver. 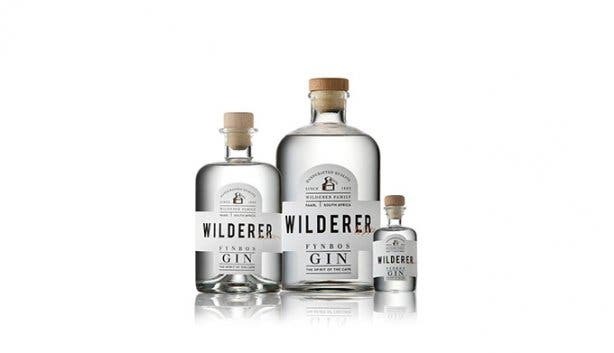 Their range includes a Classic gin, an Amber gin and a Verdant gin (which carries flavours of elderflower and camomile). They all have very recognisable colours and flavours and their distillery is the place to be if you love gin! Their tasting room is open from 10am to 3pm on Monday to Saturday every week. They are closed on Sundays and on Christmas Day too. Inverroche also have a shop, which is open Monday to Saturday from 10am to 4pm. Stop by and grab a bottle of your new favourite gin! R323, Still Bay East, +27 (0)28 754 2442, leeanne@inverroche.co.za. We love gin, and so we've also designed a range of gin cocktails for you to enjoy! Just so you know, we also love beer and Cape Town has some sensational craft beers that you need to check out! Maybe you feel like going out on the town for the night, and you want to know where to go, well look no further than right here. SA’s First Hemp-Infused Gin and Bosbombs at an Antique Tractor Farm at the Stellenbosch Craft Gin & Spirits Festival. PLUS: Know anyone who's getting married? There's an awesome Gin Girls Getaway opportunity with the Rotterdam's bachelorette party special.